On the occasion of WWEA’s annual World Wind Energy Conference, WWEA has the tradition to honor personalities and organizations with outstanding contributions to the international development of wind power and renewable energy generally. The future of mankind depends on how fast the world can manage the complete transition to renewable energy, and without doubt emerging countries with their fast growing energy demand and population are playing a key role in achieving this goal of a global 100% renewable energy supply. 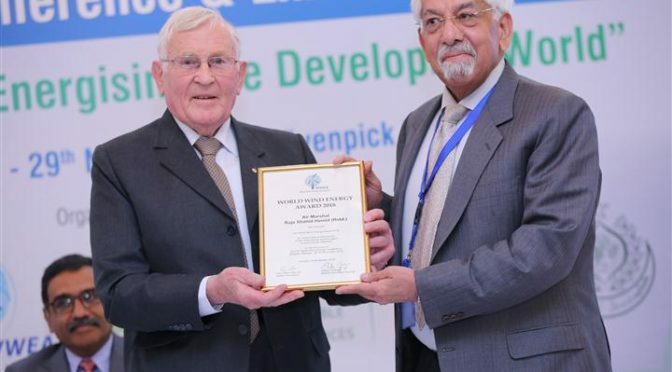 This year the WWEA Board decided to honor a personal who has contributed very significantly to the takeoff of renewable energy and wind power in one of the large Asian countries, Pakistan. The WWEA Board decided unanimously to give the World Wind Energy Award 2018 to Air Marshal Raja Shahid Hamid (Retd. 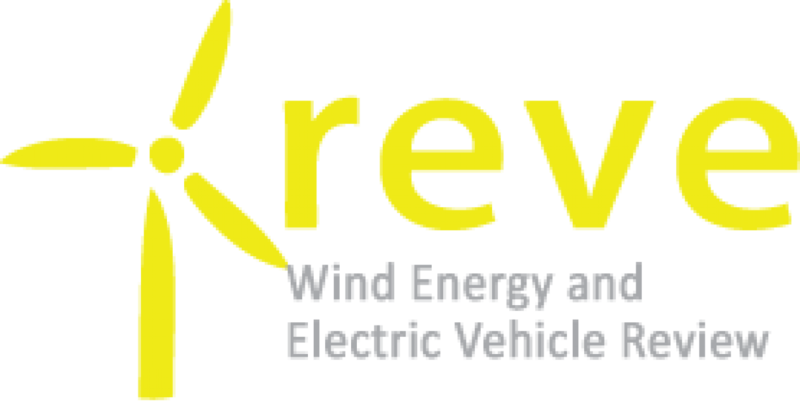 ), to be announced during the 17th World Wind Energy Conference in Karachi/Pakistan. After a long career of almost 40 years in the Pakistan Air Force during which he mostly worked in the field of research and development, Shahid Hamid retired in 2003 as an Air Marshal. He followed his passion in innovative technologies and founded the Alternative Energy Development Board (AEDB) as a government agency, directly under the Prime Minister of Pakistan. As the first Chairman of AEDB, Mr. Hamid and his team had the privilege of formulating the first-ever renewable policy for Pakistan, which was approved by the Government of Pakistan in 2006 and this provided the basis for a solid wind power development in the country. The main purpose of this policy was to promote and develop enabling environments for national and international investors in the field of renewable energy. As a result AEDB was successful in attracting investors globally to set up wind farms in Pakistan and to create a domestic wind sector that provides many jobs. Pakistan has now a total wind capacity of 1238 MW and the prospects for further growth are bright, thanks to the foundation that was laid by Shahid Hamid and his his team. Aside from his work dedicated to the development of the renewable energy market in Pakistan, Shahid Hamid has always shown great interest in working with renewable energy experts from around the world. He also contributed beyond the borders of Pakistan to the global energy transition. He, as one of the first government representatives of the world, supported strongly and officially the establishment of the International Renewable Energy Agency IRENA already in the early stages of this initiative, as early as in the year 2004. Furthermore, Mr. Hamid spoke on renewable energy in conferences in various countries such as USA, China, Germany, India or Turkey. He was elected Vice President of WWEA from 2007 to 2013, and directly afterwards he was appointed as lifetime Honorary Vice President of the Association. In spite of all his achievements, he is still a tireless fighter for the energy transformation and the shift to 100% renewable energy in his country Pakistan and beyond. He is a shining example for all renewable energy proponents to follow. WWEA President Peter Rae presented the award certificate to Shahid Hamid.